It’s easy to forget how vast Australia is. It takes nearly 4 hours to fly from Perth in Western Australia to Melbourne in Victoria in the southeast, separated by a massive desert in the middle of the country. From the Great Barrier Reef to Ayers Rock, Australia is a country filled with legendary natural beauty. Of course, this is not forgetting the unique animals that inhabit Australia, including kangaroos, wombats, platypuses and opossums. It may be thousands of miles away, but it is no surprise that many British tourists love Australia and long to return years after the first visit. Of course, flying to Australia can be an expensive business. Thankfully, that doesn’t have to be the case with your package. 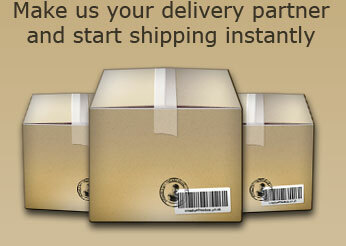 We offer a wide selection of low cost options to deliver your consignment to Australia. Our delivery services are fast and reliable, ensuring that you get the best value for your money by sending your package with us. If you need to get it there quick, we also offer express services that will get your consignments to Australia within 2-3 working days because we understand that every minute is precious to you and your business. You can rest easy with our tracking service, which allows you to follow your package all the way to its recipient. It may be a long journey to Australia, but we take care of the logistics every step of the way so that you don’t have to. To find out more about Australia, click here.